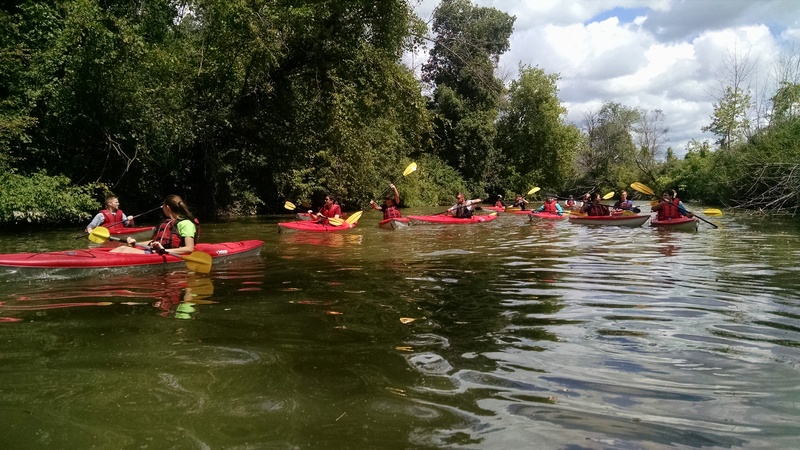 What is the impact of human activity on our local rivers and lakes? 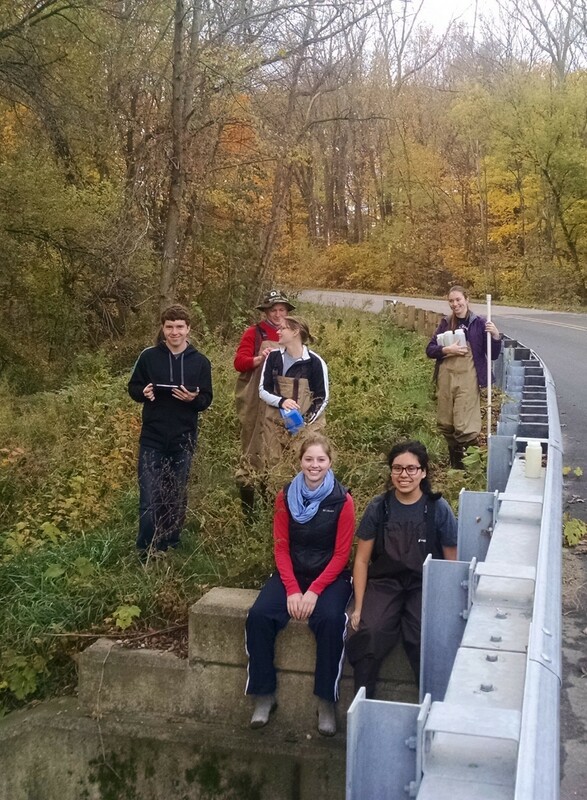 This experience will engage you in the efforts of our local community to improve water quality in the greater Holland area and the Great Lakes. 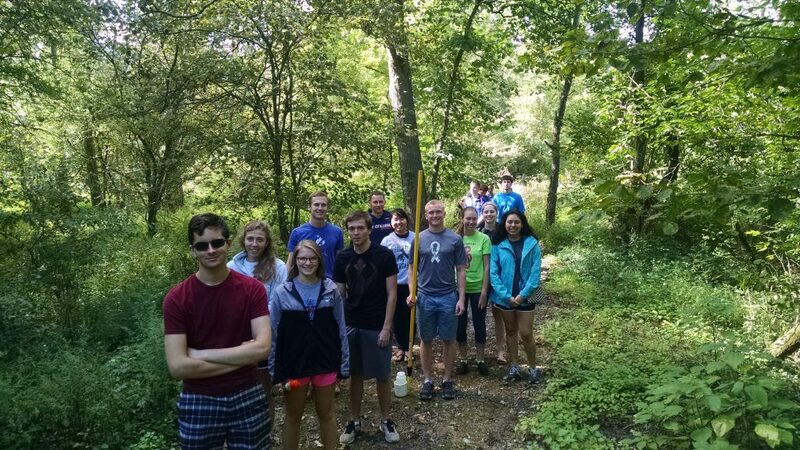 Before classes begin, immerse yourself in this environmental science research project alongside students and faculty. Visit the webpage for Watershed here. Moving from the dry desert lands to the great lake state of Michigan was a tough choice. 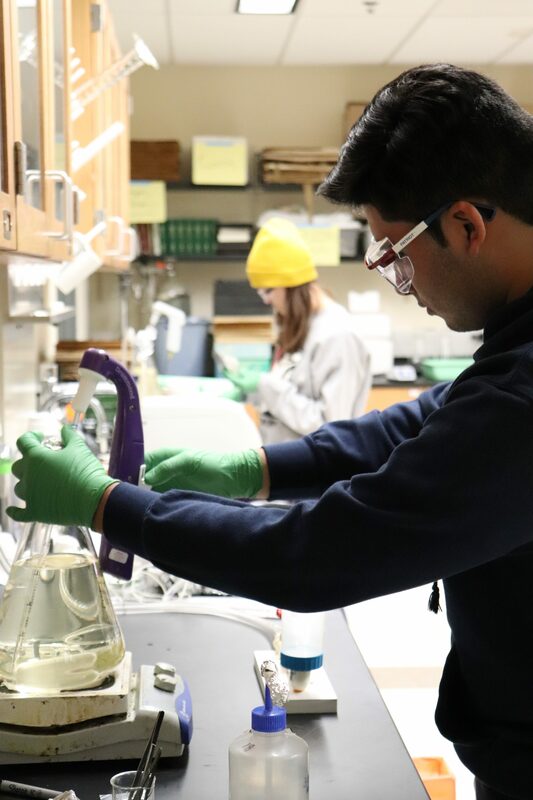 But coming from a very science-oriented high school, it wasn’t difficult for me to see the immense number of undergraduate research opportunities that were available here at Hope. I initially found out about the Watershed program when I sat down with an admissions representative during my first visit in April 2017. I had seen the web-page prior to visiting, but It wasn’t until then that I could envision myself as part of such an immersive program. In high school, I was on an engineering path. I was also part of the robotics team all four years and it seemed natural for me to consider engineering programs while searching for schools. But in my senior year, I began to question whether engineering was really the career path for me. Since all my classes were based in engineering and physics, I’d never had the opportunity to explore chemistry or biology. Watershed seemed like the perfect opportunity for me to experience chemistry and biology in a unique fashion instead of taking the standard intro labs. I can definitely tell you I have not regretted my decision to this day. I spent much of my first semester trying to decide what I wanted to study and major in, thinking more about chemistry and biology rather than engineering. For the first time in my life, I was working with live organisms and aseptic techniques instead of large mechanical parts and electric systems. Watershed also gave me the opportunity to apply research methods and techniques to real-world challenges which made the labs even more enjoyable, although stressful at times. But over time, I realized that I missed being able to work with nuts and bolts. I remember passing by the engineering lab one day, watching the engineering students work on vehicle motors, and wishing I was in there with them. As much as I enjoyed my time growing colonies of E. coli, I missed engineering even more. Although I realized that engineering had been the right path all along, I do have to thank the Day 1 Watershed program for allowing me to be part of such a unique experience. Watershed not only reaffirmed my passion and love for science but also gave me a whole new perspective of what implications our actions have for the natural world. It was a good chance to step back and get a new perspective. Thank you, Watershed, for a life-changing experience. I initially decided to come to Hope due in part to its immensity of undergraduate research opportunities. My research experience began with my participation in the Day 1 Watershed project during my first year. This bolstered my confidence, and as soon as I realized that it was possible, I had my heart set on continuing to do research the next summer. While applying for a position in one of Hope’s labs, I considered a variety of subjects ranging from analytical chemistry to biochemistry. Eventually, I ended up exactly where I started: the Watershed project. I had become so invested in and passionate about the project that I wanted to build on my first year’s work. 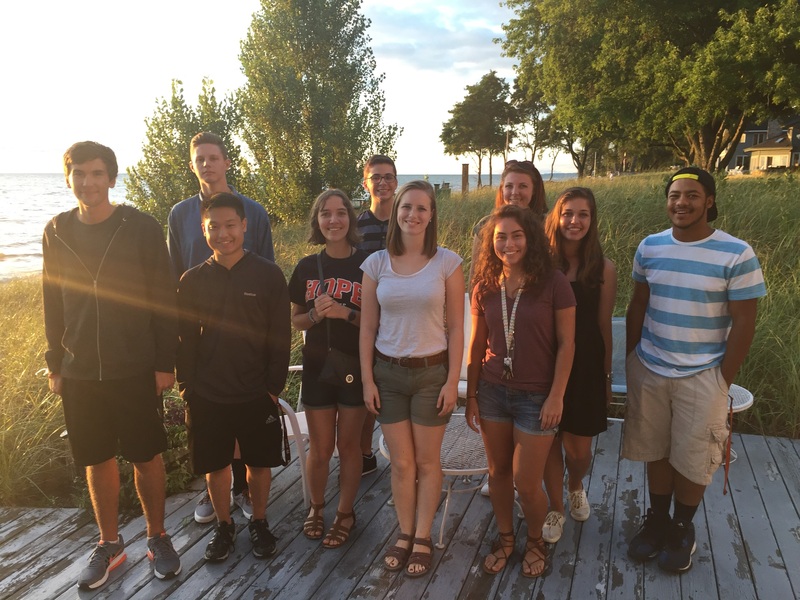 This past summer, an extraordinary number of people worked on different aspects of the Watershed project. Most of the researchers focused on microbiology, computer programming, and geology. As a chemistry major, I focused more on the chemistry aspects of the project, namely analyzing the concentrations of certain chemicals in the water. 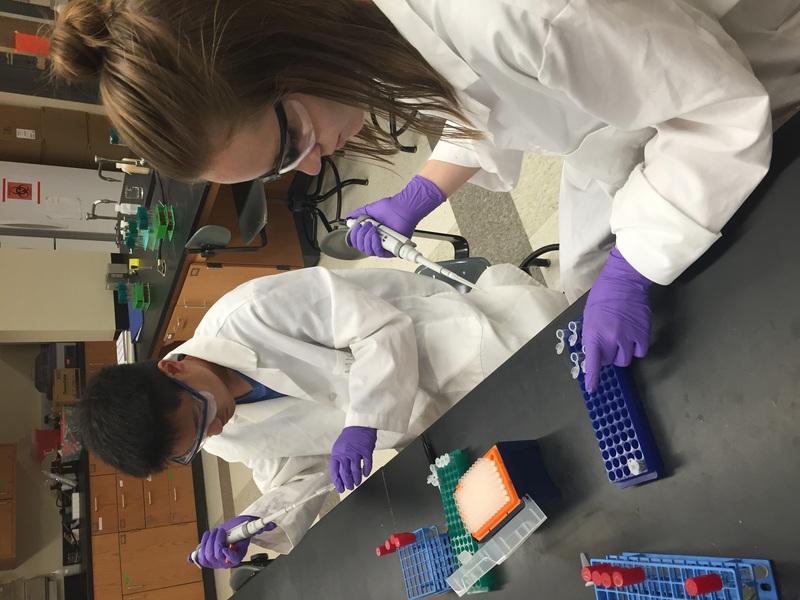 No matter whose lab you are in, summer research is an amazing opportunity to extend your intellectual and social experiences. It’s a great way to keep learning, making connections with your professors, and meeting new friends. I wasn’t sure what I was going to do in college, and so I initially had mixed feelings about applying to participate in the Day 1 Watershed program as a freshman. Looking back now as a junior, though, all I can say is that the value of my involvement with the Day 1 Watershed program has only appreciated with time. It has opened the door to many new and exciting opportunities—including one in the Bahamas. The Day 1 Watershed program engages participants in experiential learning from their first day on campus and encourages us to continue to grab every experiential learning opportunity we can after the first year. I participated in Hope’s Island Life May-term at the end of my freshman year. Island Life is an amazing course run by the geology department’s Dr. Bodenbender. 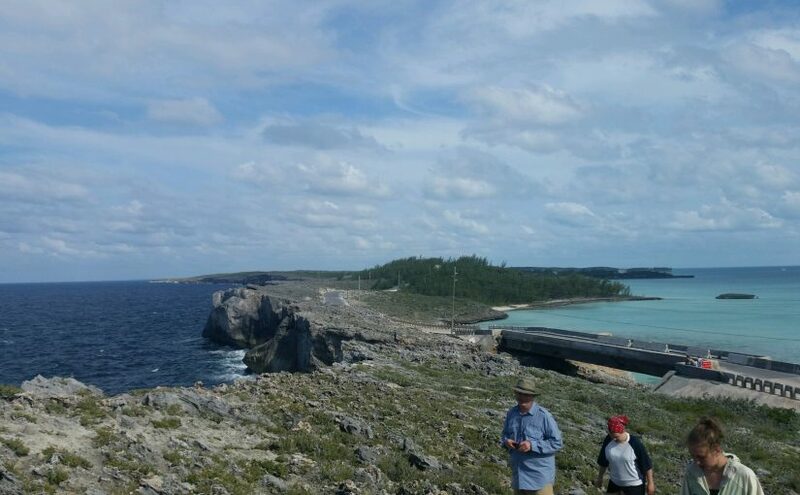 It focuses on the sustainability, diversity and geology of the Bahamian island of Eleuthera, and involves a week-long trip to the island in its third and final week to study these concepts hands-on. Our group also took some time to sightsee, and to assist local biologists with their day-to-day jobs. I can’t enumerate all of our activities, but highlights included seeing the Atlantic Ocean and the Caribbean Sea simultaneously, catching a stingray by wading after it and staring it down, and going spelunking down to a bed of ancient African soil. The main project I undertook was the writing of a miniature field guide manuscript that detailed biological and geological interactions at the various locales we hiked and snorkled through, with species lists as complete as could be assembled given the limited time. It was the most ambitious piece of science writing I’ve yet composed, and I am now looking to expand upon that experience. I recently submitted an excerpt of this field guide to the Pierce Cedar Creek Institute in Hastings, Michigan, along with a project proposal to write a far more ambitious field guide manuscript based on their species inventory and conservation efforts. I don’t know what precisely my future holds, but I know that it will be brighter because of the opportunities and experiences that were made available to me because of the Day 1 Watershed program. Hope College junior Ashley Trojniak of Sterling Heights won the “Outstanding Student Poster Award” in the COLL Student Poster Contest, held during the Aug. 20–24 National Meeting and Exposition of the American Chemical Society (ACS). She was the only undergraduate selected for an award and was chosen from among about 150 presenters, most of whom were graduate students. Posted on September 8, 2017 Author Catherine MaderCategories WatershedLeave a comment on Research after Day1 Watershed? For many people, coming to college is an anxiety-ridden time. Like many freshmen, I had what felt like a million worries about starting college. What would my major be? Would I do well in my classes? How and where would I find friends? After my first week of Watershed, almost all those worries had dissipated. I met ten other students who had similar interests to me, most of whom I am still very close to. I gained valuable knowledge and experience through hands-on learning and research. I also got to know my two advisers, who also turned into some of the most influential professors I have had so far. One of the most valuable parts of the Day1 program was the research experience. Because the Watershed project has real-world applications and consequences, we took part in real applications of the scientific method. 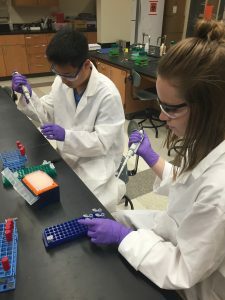 I had a great experience coming up with research questions and hypotheses, as well as sampling in the field, analyzing samples via wet lab techniques, researching previously performed experiments, and learning how to use computer programming to draw conclusions from data. Since I have put those skills on my résumé, they have already helped me earn a summer research job. The Day1 program has been extremely valuable to me on a social basis as well as professionally. All students in the Watershed group as well as many students in the Phage group live in Lichty Hall, one of the smallest dorms on campus. Almost everyone in Lichty is a science major, which creates a unique atmosphere. On any given night, there are a ton of people in the basement or lounge doing homework, studying, or just goofing off. Although it is probably not the best place to find quiet time, you can always find someone else studying for the same test or doing the same homework if you need help. I am so grateful to have found the unique Lichty community and would recommend it to anyone looking for a tight-knit community and friend group. When I first enrolled in a Day1 program I was excited about the opportunity to take part in a real-world research project. 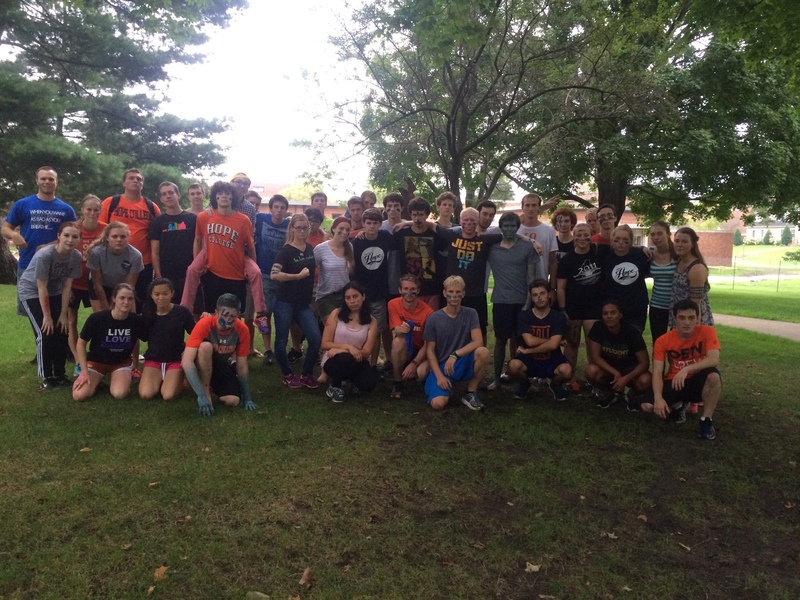 I had not put much thought into the idea of what it meant to be part of a ‘living-learning community’, however, now that I have completed my freshmen year I have discovered what it really means to be part of the community in Lichty hall. While it has many similarities to the other living communities on campus, it also possesses several key factors that make it stand out from the rest. Lichty is one of the smallest halls on campus, giving you the unique opportunity to have a real and meaningful relationship with almost everyone in your dorm, but also large enough to offer a great deal of variety in the kinds of people you will meet. The size of the hall encourages residents to build a tight-knit community where everyone has a sense of belonging and purpose. Lichty is also a part of the south-side residential community, which means there are three other halls right next-door if you ever feel that your social circle is too small. The ‘living’ part of the ‘living-learning’ community transitions perfectly into the learning portion. One of my favorite things about living in Lichty was the fact that there was always someone in the common areas either studying or having fun (often a mixture of the two). Whether cramming for a test or simply trying to complete a last minute homework assignment, there was always someone there who was willing and able to help. This kind of support network helps you to focus yourself and even share your knowledge with others when they are in need. If any part of this community interests you, I wholeheartedly encourage you to sign-up and become part of a Day1 research program. I joined the Day1: Watershed program purely out of curiosity and the “Why not?” spirit. When I saw postings about the program, I said, “Why not?” and promptly requested more information. From the perspective of a music student, the Day1 program is a fun and challenging program to be a part of. It has given me the opportunity to learn in many disciplines, including microbiology, biology, and chemistry. What I have enjoyed the most about Day1: Watershed is the diversity of the course. One week we may be filtering samples from Lake Macatawa and the next week we could be writing code to create graphs of our data. For any student, especially the non-STEM student, the Day1 course is a refreshing and intellectually thought-provoking opportunity. So if you are interested in joining Day1 and are not planning on studying a STEM field, I encourage you to embrace the “Why not?” attitude and take advantage of the Day1: Watershed program. Moving away from home for the first time can be pretty rough, especially when you don’t know anyone. This is where the Day1 programs have the upper hand. Everyone in the Day1: Watershed and Day1: Great Lakes programs are housed in Lichty Hall, and the other Day1 programs have the option of living there, as well. I was unsure about this. The college was creating a STEM (science, technology, engineering, and mathematics) community, I understood that, but I didn’t really want to live in what I saw as the “Nerd Dorm”. However, I decided to do it anyway, and my idea of the “Nerd Dorm” was not what I encountered on move-in day. What I found instead were people that shared the same interests as me and had similar hobbies as me, like video games or playing basketball and being active. The nice thing about living in the STEM residence hall was that everyone else was either taking the same classes as I was, or they had already tested out of them. So it was extraordinarily easy to find someone who could help me understand equilibrium and electrochemistry, or memorize the nitrogen cycle. Living in Lichty may have been a little atypical of the normal “college experience,” but it was awesome regardless. During the summer before freshman year at Hope College a student must register for all of their first semester classes. One of those classes must be a first year seminar (FYS). An FYS is basically an introductory course to college life, they focus on a variety of topics ranging from trains, or bees, to different types of research. Along with the course material one of the objectives of an FYS is to prepare a student to transition into their college life. When I looked over the list of FYS’s while registering, my eye was caught by a certain program. Day1: Watershed was listed as an opportunity to get firsthand, real-life research experience as a freshman. After reading the description I was even more excited; I knew that I wanted to study biology, so this class was going to be perfect. 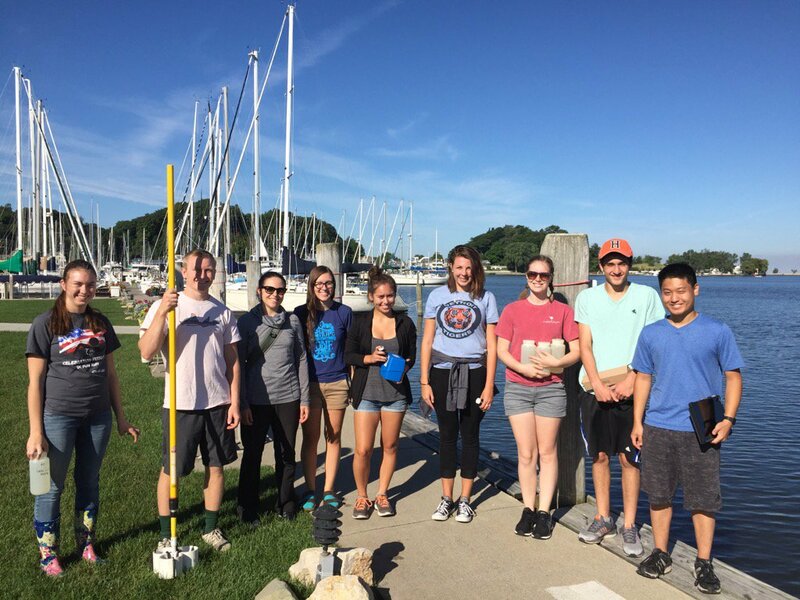 This brand-new program’s focus was on assessing the overall health of the Lake Macatawa watershed to determine if the restoration project known as Project Clarity was actually restoring it. 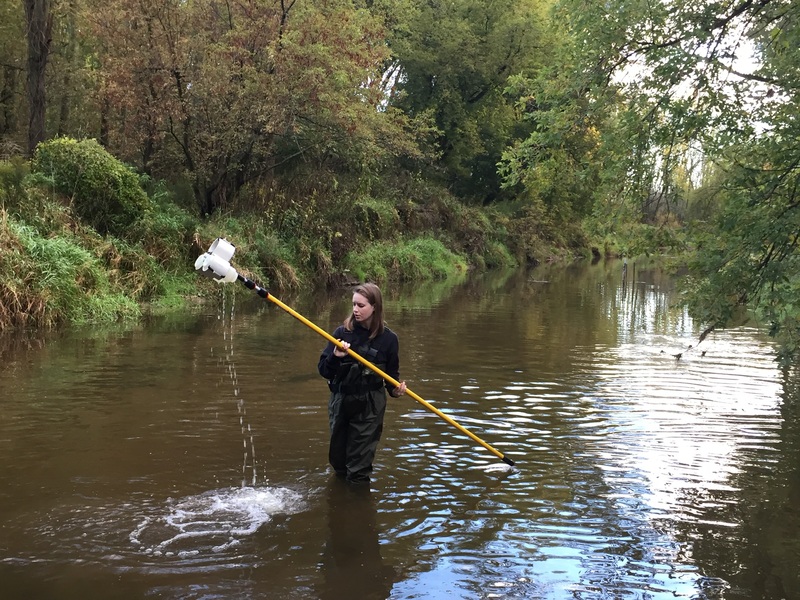 In order to do this, several different aspects of the water would be tested by gathering water samples from several sites throughout the watershed and analyzing them. Students in the Watershed class would also be moving in earlier than the rest of the freshmen to start researching right away. The reason the Day1 programs move in early is to get a head start on research, and that’s exactly what we did. One of the first activities was to kayak down the river to see where we would be sampling, and then we drove the vans out to the different sites and took the water samples, stopping for a picnic in between. After collecting all of the samples we started the wet lab work, which was challenging but definitely worth it. During that week we also read a lot for our FYS portion of the class and got to explore Hope’s campus. Despite the busy agenda of the first week, things mellowed out enough to allow me adjust to the rest of my classes when they started. 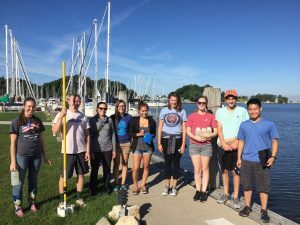 Through my work with the watershed program I was able to gain firsthand research experience and knowledge, and from that I was able to get a paid research position over the summer. The opportunities that presented themselves through the Day1 program have been incredible, and I am extremely glad that I was able to take this course.